ShutterstockYou can save on your energy bills simply by using a leaf blower on your air conditioning unit. See a yellow or gray stain running along your ceiling? Or the bathroom walls feel moist when it’s been a while since you’ve taken a shower? You might have an interior leak. Luckily, it’s an easy fix. Replacing moist or moldy drywall and repairing the leak will prevent “some kind of disaster down the road,” Stromer says. Let this go, and you might need to build an ark just to get out of your bathroom. Behind your washing machine is an area where water drains out from a hose after the cycle is complete. “A lot of times, that hose can come free from the wall and just start spraying water behind the washing machine,” Stromer says. But attaching a standpipe to your washing machine can prevent this. One of these plastic wall inserts will ensure the hose is secured and won’t come undone to wreck havoc. “That could save thousands of dollars on the back end,” Stromer says. Does the wood around your windowsill look like it’s rotting? Rainwater seeping through the frame might be the culprit. Fixing this might require an entire window replacement, but exterior caulk can prevent windowsill rot and save you from spending thousands on replacements over time. The caulk will seal any fissures you find and keep rainwater out, Dole explains. “The challenge is windowsills are naturally very prone to rot, so look at each window, and hunt for cracks in the sill paint,” she says. Here’s another home energy saver: Take your leaf blower (or borrow a neighbor’s) and use it to flush out your air-conditioning unit outside. 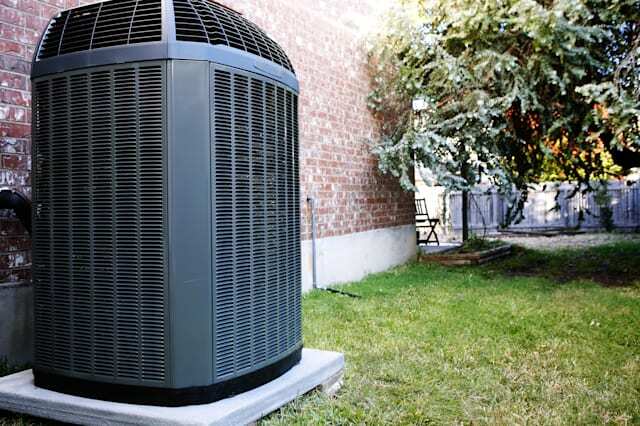 “The air will remove any gunk, dirt or debris inside quickly, and as a result will help your AC work more smoothly while saving you on your utility bill month after month,” Dole says. A clean AC unit could save you as much as 15 percent on your energy costs, she estimates. Better yet, this simple improvement has no upfront cost. This easy trick prevents electrical problems, not to mention a dangerous overload on wiring, Dole says. All you have to do to reset the circuit breakers is flip all your circuit breaker switches from the “on” to “off” position. Wait for 10 seconds. Then switch them back to “on.” “This small step will break down any corrosion on the circuit breaker contacts, which you don’t want, because it could lead to a bad breaker,” Dole says. “That could cost you $500 to be replaced along with an electrician cost.” On the other hand, flipping won’t cost you anything – just be prepared to reset all your clocks after.